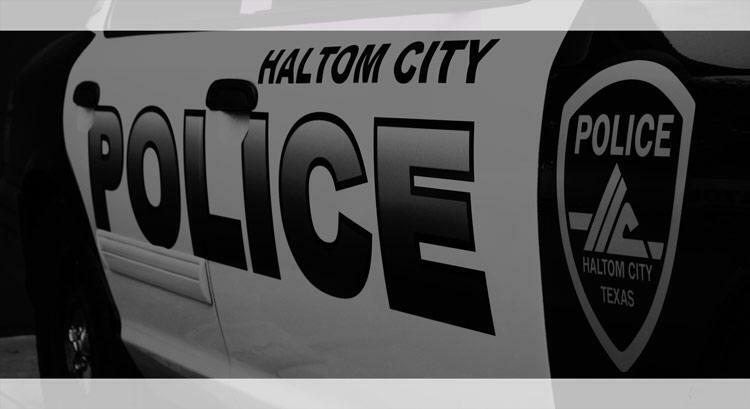 The Haltom City Police Department's news, events and press releases are listed here. The Haltom City Police Department will be participating in the DEA's National Drug Take Back on Saturday, April 27, 2019, from 10:00 a.m. - 2:00 p.m. in the front parking lot of the Haltom City Law Enforcement Center. Citizens can surrender expired, unwanted, or unused pharmaceutical controlled substances and other medications to law enforcement. The medications will be properly disposed of by the DEA. Intravenous solutions, injectable items, and syringes will not be accepted, due to the potential hazard posed by blood-borne pathogens. This program is anonymous and no personal information will be collected from those disposing of medication. Citizens may dispose of medication in its original container or by removing the medication from its container and disposing of it directly into the disposal box. Liquid products, such as cough syrups, should remain sealed in their original container. Please ensure the cap is tightly sealed to prevent leakage. This is for the general public only. Pharmacies, physicians, veterinarians, etc. cannot dispose of their products during this event. To dispose of medication, citizens can simply drive through the parking lot and meet with the officer for deposit of the medication in the collection boxes. You do not need to park or get out of your vehicle. On Thursday, February 14, 2019, at approximately 12:45 a.m., Haltom City officers were dispatched to assist Haltom City Fire Department personnel on a suspected drug overdose in the 5200 block of Mallory Dr. Upon arrival at the residence, Haltom City officers observed a 32 year old white female that was unresponsive. Believing the female had overdosed on Heroin, officers administered three doses of Narcan to the female and began CPR. The female began regaining consciousness and began breathing. Haltom City Fire Department personnel arrived on scene and took over care for the female. The female regained consciousness, but she was still disoriented. She was transported by MedStar Ambulance to John Peter Smith Hospital in Fort Worth for further treatment. In April of 2017, Haltom City officers were trained by Haltom City Fire Department personnel on the signs of opioid overdose and on the correct administration of Narcan. This is the first instance of a Haltom City officer administering Narcan to a patient believed to have overdosed on opioids. The Haltom City Police Department is a professional organization committed to excellence, integrity, compassion and vigilance. We will partner with the community and selflessly commit ourselves to making Haltom City a better place to live, work and visit. The suspect in the Haltom City pursuit that ended in a fiery crash on Wednesday, January 16, 2019, was seen by a magistrate on Saturday, January 19, 2019. 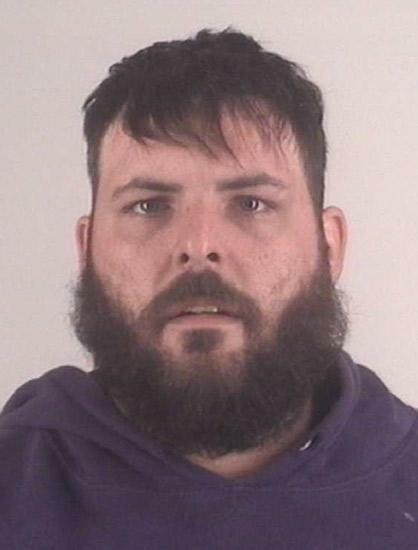 He has been identified as Charles Edmund Keisling, 30 years of age, of North Richland Hills. He has been charged with Evading Arrest/Detention with a Vehicle – Serious Bodily Injury and Intoxication Assault – Serious Bodily Injury. His bond has been set at $7,500 and $10,000, respectively. A current booking photo was not available, but a previous booking photo is posted below. The victim in this case remains hospitalized in stable condition due to the injuries she received in the collision. 4100 block of Denton Hwy. On Wednesday, January 16, 2019, at approximately 10:40 PM, Haltom City officers observed a gray Honda Accord that was traveling at a high rate of speed in the 4100 block of Denton Highway. When officers attempted to initiate a traffic stop, the vehicle failed to yield. Due to the erratic driving, the officers believed the vehicle to be operated by an intoxicated driver. After the pursuit went through an adjacent neighborhood, the driver of the vehicle turned back onto Denton Highway northbound. As the pursuit was approaching the Watauga city limits, the officers lost sight of the vehicle due to the vehicle’s excessive speed. As the officers were returning to Haltom City, they observed the suspect vehicle traveling at a high rate of speed southbound on Denton Highway. Officers re-initiated the pursuit following behind the suspect vehicle. After the suspect vehicle passed the NE Loop 820/Denton Highway bridge, the suspect vehicle collided with a black Dodge pickup that was slowing to turn into an apartment complex. Due to the collision, the black Dodge pickup caught on fire. Officers arriving on scene were able to remove the driver of the pickup from the vehicle before the pickup was fully engulfed in fire. The suspect was removed from his vehicle with injuries to his face caused by the deployment of the airbag. Both the driver of the pickup and the driver of the suspect vehicle were transported to John Peter Smith Hospital in Fort Worth. The driver of the pickup, a white female 30 years of age from Haltom City, did not appear to have any obvious injuries on scene, but once she arrived at the hospital, she was found to have internal injuries. Her condition was unknown at the time of this release. The suspect, a white male 30 years of age from North Richland Hills, was arrested on charges of Intoxication Assault with Serious Bodily Injury and Evading Arrest with a Vehicle. His identification will be released once he has been arraigned by a magistrate.